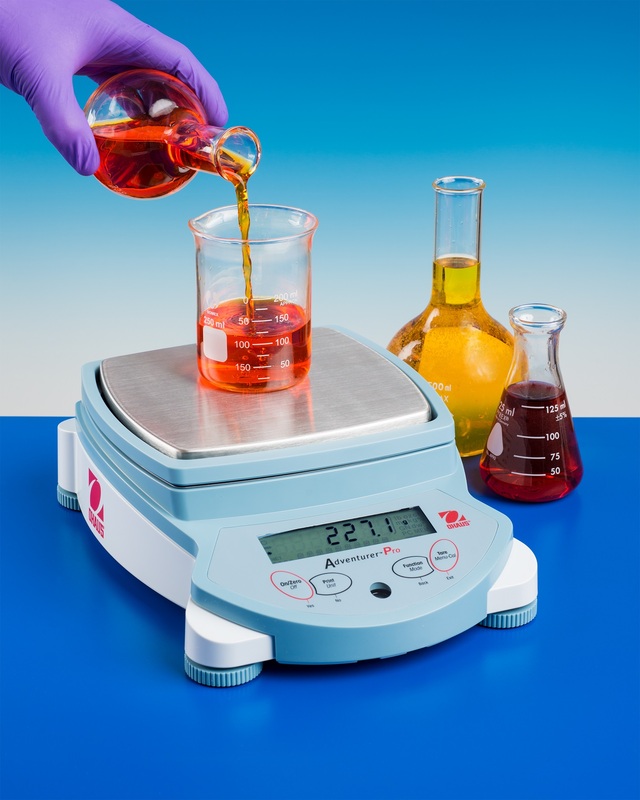 A versatile balance for biotech, cosmetics, and pharmaceutical applications requiring counting, summing, holding, and fully traceable results is being introduced by Alliance Scale, Inc. of Canton, Massachusetts. The Alliance/Ohaus Adventurer Pro features an easy to use 4-button keypad with dedicated YES, NO, BACK, and EXIT functions to simplify menu navigation and set-up, and has an integral weigh-below hook for density determination or calculating specific gravity. Ideal for blending ingredients, it has a bright, backlit 2-line alphanumeric LCD and accommodates multiple weighing units including a user defined custom unit for proprietary applications. Equipped with an easy to clean stainless steel platform and a removable wind ring, the Alliance/Ohaus Adventurer Pro includes an AC adapter or runs on 4 AA batteries. Supplied with a standard RS232 interface, it is avail- able with a second RS232 or USB interface as a factory-installed option. Providing internal calibration, capacities offered range from 210 to 8100 g.
The Alliance/Ohaus Adventurer Pro is priced from $ 799.00 depending upon model. Pricing and specifications are available upon request.